We have been doing our best to train for this run but the last month we have all been sick or weary. With the warm weather, however, we are now menacing the streets of Sydney. Yes team Miroma is getting its act together for the 9km Harbour Bridge run tomorrow 18th September at 8am. The team is raising money for Miroma (branch of Inala). This is a day-time provider for James, my son, who is now 18 years old and has completed school. He has hardly any speech. Miroma has been fantastic as they are working with us through this dramatic change in James’ life. I think it’s tough being an adult with a disability; they are almost forgotten. We worry about how he will be we are no longer here. The people who make up these organisation work under difficult conditions but they are dedicated, kind and they listen. We are very fortunate! The lovely ladies who will be running with me are a dentist Kim, dental student Joy and dental nurse Roni. Great combination! Thank for your efforts and helping me train and being part of this cause. I have trained with Joy who will do this run for the first time; in fact it’s her first 9km run ever. 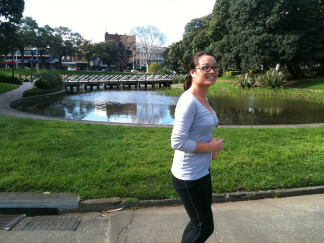 We have been jogging around Sydney University, my old stomping grounds. It has changed so much so I got a guided tour while we ran! I would like to thank all who have donated. We have been blown away by the level of support and more importantly the level awareness. I am truly humbled and grateful. Please tag your deposit with your name. Email the surgery on info@seymourdental.com.au with your details.